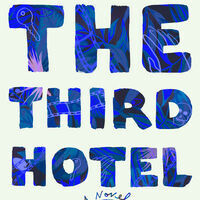 The Third Hotel by Laura van den Berg is a propulsive, brilliantly shape-shifting novel. A widow tries to come to terms with her husband’s death -- and the truth about their marriage -- in this surreal, mystifying story of psychological reflection and metaphysical mystery. Shortly after Clare arrives in Havana, Cuba, to attend the annual Festival of New Latin American Cinema, she finds her husband, Richard, standing outside a museum. He’s wearing a white linen suit she’s never seen before, and he’s supposed to be dead. Grief-stricken and baffled, Clare tails Richard, a horror film scholar, through the newly tourist-filled streets of Havana, clocking his every move. As the distinction between reality and fantasy blurs, Clare finds grounding in memories of her childhood in Florida and of her marriage to Richard, revealing her role in his death and reappearance along the way. Laura van den Berg is the author of two story collections, What the World Will Look Like When All the Water Leaves Us and The Isle of Youth, and the novel Find Me. She is the recipient of a Rosenthal Family Foundation Award from the American Academy of Arts and Letters, the Bard Fiction Prize, an O. Henry Award, and a MacDowell Colony fellowship. Born and raised in Florida, she lives in Cambridge, Massachusetts. Nate Brown’s short stories have appeared in the Iowa Review, Mississippi Review, Five Chapters, REAL, and Carolina Quarterly, and his nonfiction has appeared in the Los Angeles Review of Books, Publisher's Weekly, and LitHub. The managing editor of the Austin-based literary journal American Short Fiction, he lives in Baltimore and teaches writing at Stevenson University and at the George Washington University in Washington, DC. Great event, i am looking to attend the next one.